Muscat is the capital of Oman, a traditional, culturally-rich country that lies in the heart of the Middle East. With topographical diversity which ranges from gorgeous blue waters of the Arabian Sea, miles of golden sand desert, myriad wildlife, fjords, mountains, green forests and streams, Oman offers something for everyone. It is only recently that the country started to attract tourists, most of them still from other Middle Eastern countries, but if you plan a trip to this conservative yet immensely beautiful country, there's so much to do and see that it can be difficult to choose. The capital city is the perfect place to start your journey and here are the top things to do in Muscat. Out of all the things to do in Muscat, this features on the top of my list. 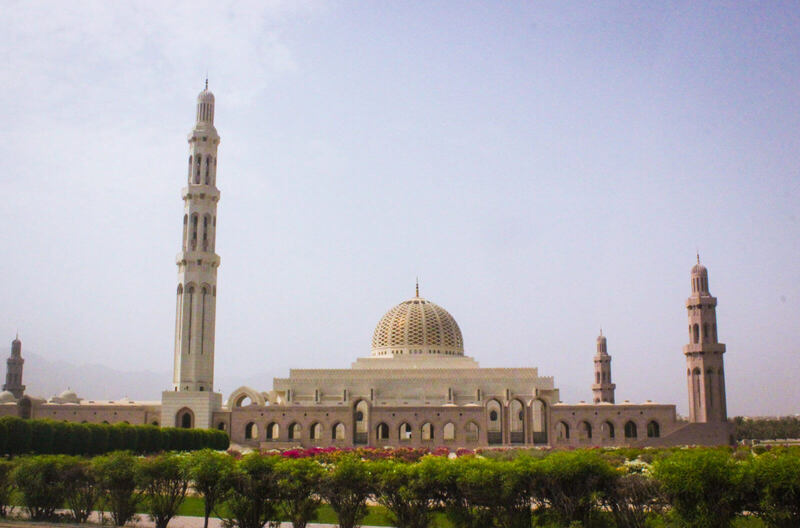 It is the only mosque in Oman that is open to tourists and is an incredible one in terms of its architecture. Almost as awe-inspiring as the Sheikh Zayed Grand Mosque in Abu Dhabi but built way before that one, Sultan Qaboos Grand Mosque boats of equally stunning interiors with an intricate hand-woven carpet and a gorgeous chandelier made of Swarovski crystals (both of which are former Guinness World Record holders) adorning its prayer hall. Traces of Egyptian, Omani and Persian architecture make for an intriguing sight, with four minarets surrounding the courtyard that encompasses the prayers halls. As with all other mosques, one must ensure to keep their legs and arms covered (women must also cover their heads) while entering the mosque. A labyrinth of narrow alleyways with shops selling a colourful and eclectic collection of Omani souvenirs such as high-quality frankincense, pashminas, silver jewellery and khanjars, spices, pots and pans, Arabic lamps and many other accessories, a visit to Muttrah Souk is a treat for the senses, both visual and olfactory. An ancient yet vibrant market, you'll find a lot of unique artefacts here which are related to Oman's history and culture as well as exhibits brought to Oman from the far east countries such as India, Pakistan, Nepal and China. The entrance to the souk is on the corniche, one of the most popular and lively areas, frequented by tourists and locals alike. The souk itself is covered with a high ceiling, so you're spared from walking under the scorching heat of the sun. You can spend 15 minutes to 1.5 hours exploring the winding maze of thousands of shop, which are not easy to navigate because of the wide area they're in. You're sure to have a fascinating experience, hard to find anywhere outside the Middle East. And yeah, Do not forget to haggle! Planning a trip to the UAE? Here are 10 things you need to know BEFORE you visit. 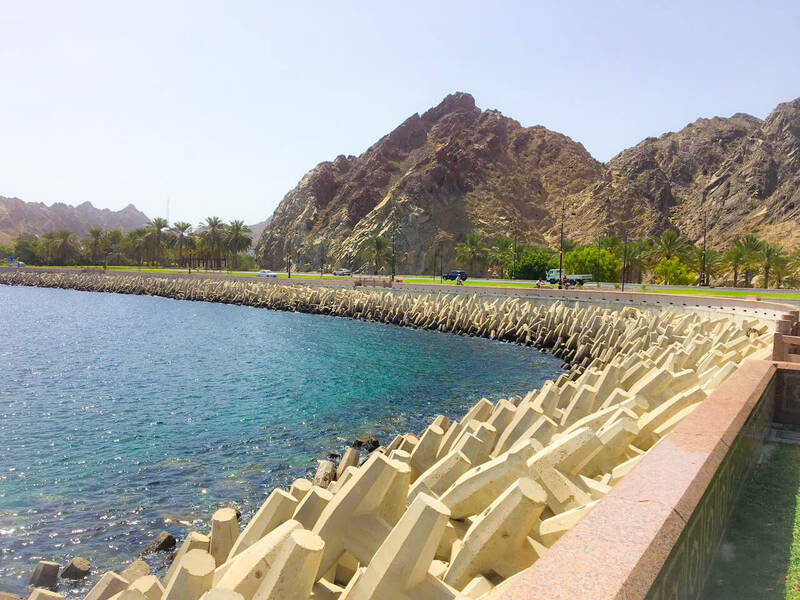 Muttrah Corniche is one of the most crowded and popular areas of the city and one of the top things to do in Muscat is a stroll along the promenade, where you will see locals and tourists enjoying some family time during the sunset and night time. This 2-km stretch along the coast provides nice views of Sultan's yacht and the Muscat Fort and comes alive with a vibrant atmosphere every evening. As you walk past the Portuguese Muttrah fort, you can climb the 100-odd steps to the top of an old restored watchtower and enjoy beautiful views of the city from the vantage point. Several restaurants and cafes line this waterfront boulevard and you can also see dhows anchored on one end, with fishermen going about their daily business. Just like most other destinations, I always recommend a visit to the ancient walled city as one of the top things to do in Muscat. Guarded by 2 ancient forts (Al Mirani & Al Jalali) perched on the hilltop on either side of the historical centre, this charming area is also home to several museums such as the National Museum of Oman. One of the intriguing architectural sites here is the Al Jalali Fort and although it is closed to the public for visitation, you can still admire this fortified 16-century monument from a distance. Built by the Portuguese, the fort was used to keep an eye on the port of Muscat, an important trading centre at the time. One of the most interesting museums to visit here is the Bait Al Zubair. Home to ethnographic artefacts that reflect the lifestyle of the Omanis in ancient times, it was actually the residence of Al Zubair family before it was converted into a museum and the exhibits here were once privately owned by the family. The museum provides a window into Oman’s rich heritage and culture and also has a gift shop where you can buy several souvenirs. Another interesting place to visit in the Old Quarter is the Al Alam Palace. 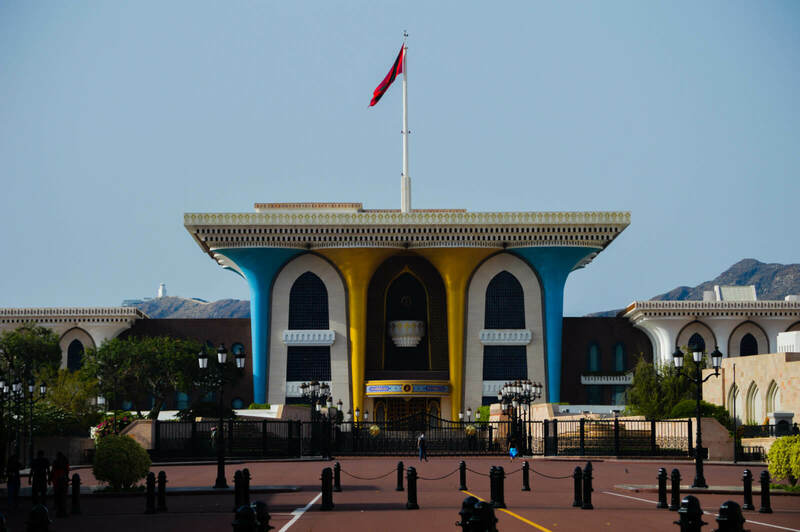 This blue-and-gold building stands in stark contrast to most other buildings in the old city and is the ceremonial palace of His Majesty the Sultan. Sultan Qaboos doesn't live here anymore and the palace is not open for tourists to visit but a photo stop right outside is recommended and considered as one of the top things to do in Muscat. 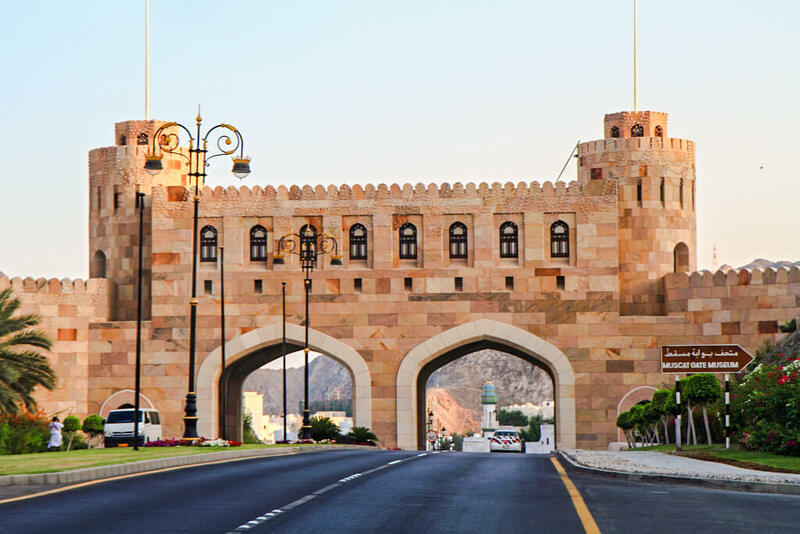 One of the most photographed ancient monuments of Muscat, Muscat Gate is the entrance to the old city from the relatively newer and modern part of Muscat and is now a photographic museum that tells the history of Oman. The museum is located on top of the gate and offers great views of the rugged brown cliffs, Portuguese forts and bustling old town area of Muscat. Even if you do not plan to visit the museum, a photo stop to admire the intriguing architecture of this archway is recommended! Click here to read the Oman Destinations Guide to learn more about planning a trip here. Muscat's pristine waters are home to wild dolphins and several species of whales, especially the endangered blue whale. Cruises usually depart early morning and last for 2 hours. Several companies provide a hotel pick up and drop off along with snorkelling gear on board, for those willing to jump into the crystal clear waters and observe the sea life and swim with the turtles. 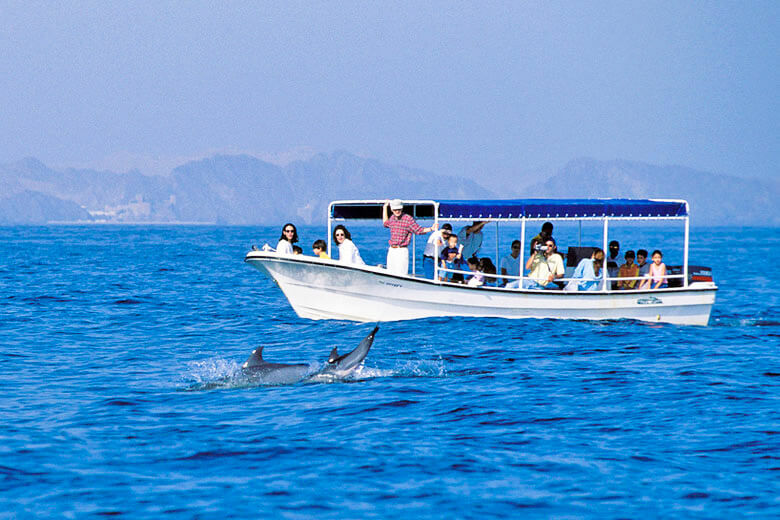 Some popular companies conducting the dolphin and whale watching tours in Muscat are Coral Ocean Tours & Sidab Sea Tours. Boarding a cruise to watch the dolphins in the beautiful blue seas is one of the top things to do in Muscat. One of the top things to do in Muscat is to take a short road trip to Nizwa (1.5 hours), the old capital of Oman in the 6-7th century. Located at the foot of the green mountains Jabal Akhdar, it is considered a cultural centre because it was the first city in Oman to convert to Islam. 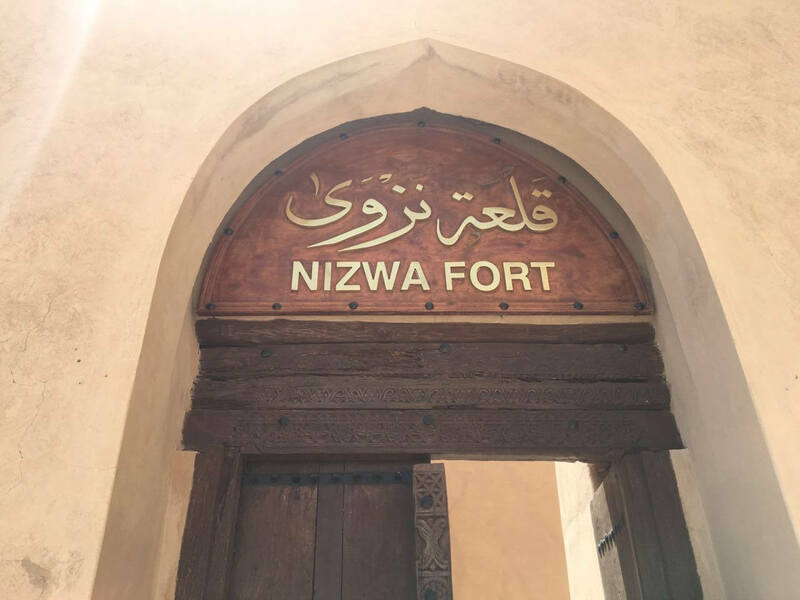 The city is famous for Nizwa Fort and it's old Islamic architecture, which reflects the lifestyle of the local people between the 9th - 17th centuries. Inside the fort, you can see several prisons, prosecution grounds and several methods of defence used in the olden times. A cylindrical tower, which is also the highest in Oman, is its key feature and the fort also has artefacts and exhibits displayed in the rooms. There's also a gift shop for buying Omani souvenirs. Another interesting place to visit in Nizwa is the Nizwa Souq. 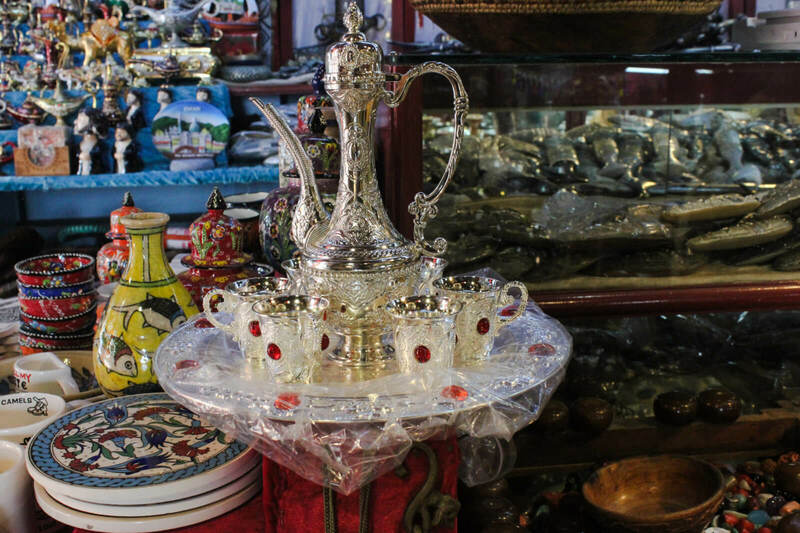 A good place to buy Omani silver jewellery and khanjars, you'll also see a lot of fruits and vegetables here, pots and pans, local craftsmanship and spices. Men in their dishdashas, haggling for food or sitting and enjoying some tea and conversations is a common sight to see here. 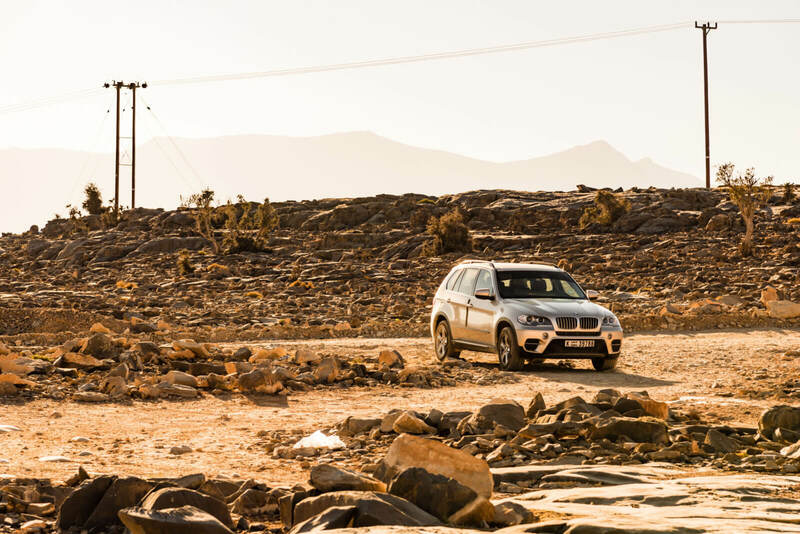 The cream coloured walls of the souq in the backdrop of the rugged brown Hajjar Mountains make for an intriguing picture-friendly place to visit. Combine your trip to the Middle East with a visit to Jordan. Here are 6 places in Jordan you cannot afford to miss. 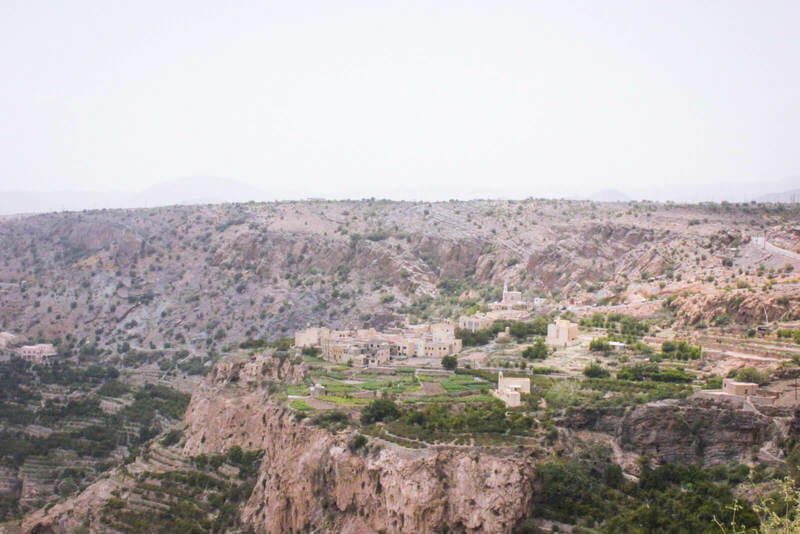 A part of the Al Hajjar Moutain range, Jabal Akhdar or the green mountains as they're called, are best accessed from the Birkat Al Mawz village, which is a 45-minute drive ahead of Nizwa. You're recommended, however, to take this road trip in a 4WD as only those vehicles are allowed beyond the check-point. A steep climb to viewpoints which provide fantastic panoramas of the dramatic mountainous scenery and terraces, especially that of the Saiq Plateau. 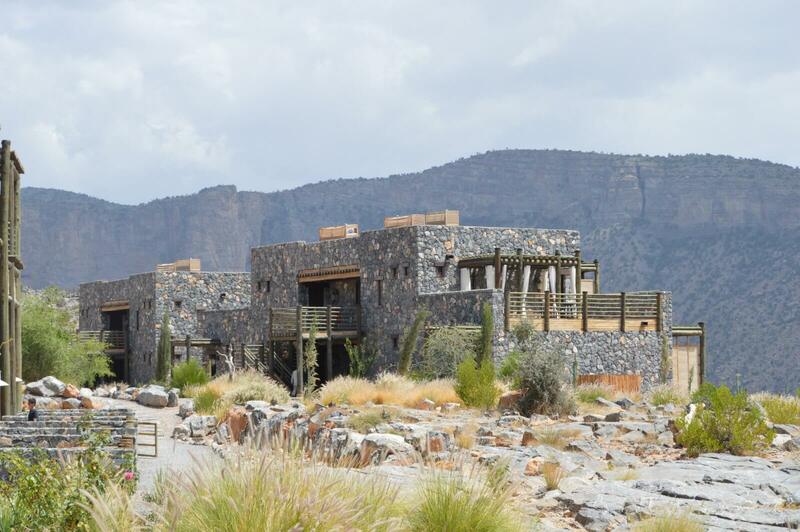 It might be a great idea to watch the sunset or spend the night in one of the best resorts here - Alila Jabal Akhdar, a 5-star luxurious resort, with its modern Arabic architecture and excellent hospitality. The resort is located right on the edge of the cliff, with unparalleled views of the gorge below and the highlight is their Jabal Terrace, a cosy majlis with superb views or the swimming pool located at the edge of the cliff, the perfect place to relax with a sundowner and watch the sunset. However, don't expect to see a lot of 'green' (a slightly misleading name so to say!). The mountains are more rugged brown than lush green, although some vegetation can be noticed on the watered terraces. At 2,000m above sea level, it is definitely cooler here than in the city below and one of the top things to do in Muscat (rather around Muscat) is to spend some quiet time away from the desert heat, amidst peaceful surroundings. Another mountain peak located in the Al Hajjar Mountains is Jebel Shams, also known as the Grand Canyon of Oman. A very rugged landscape greets you on your drive to the top of this peak, which is also known to be the highest in Oman at 3009m. 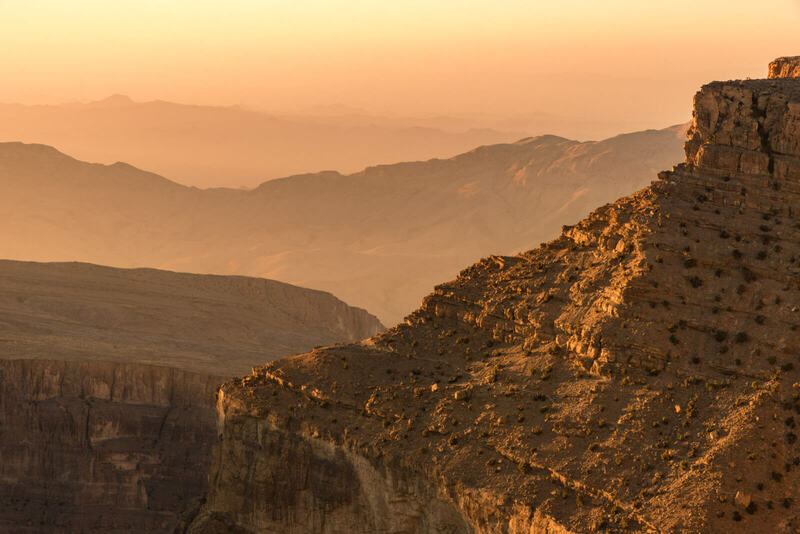 The views of the Wadi Ghul below, which plunges steeply into nothingness, makes for the perfect spot to camp for the night and capture lovely sunset/ sunrise pictures from the edge of the cliff. If you're not the camping sort of person, there are several low key hotels and accommodations located on the plateau near the canyon rim. 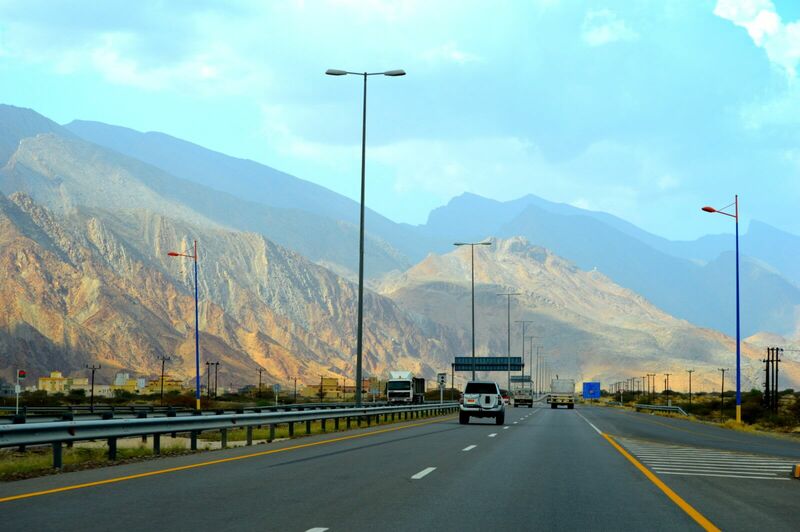 The drive from Nizwa to Jebel Shams is about 2 hours and you're recommended to hire a 4WD for this road trip. During the winter months (November - March), make sure to carry warm clothing as it can get very cold after sunset. Not known to many people, Muscat has some of the most luxurious beach resorts in the region. My favourite three resorts here are: The Chedi Muscat (the most expensive of all and also, perhaps the most opulent), with a prime location on the waterfront, offering chic and stylish rooms, a gorgeous infinity pool, beachside bars and lounges and the perfect contemporary oceanside retreat. However, it costs upwards of $500 per night to stay here. Slightly less pricey options include Al Bustan Palace Hotel (A Ritz Carlton brand), yet another chic hotel located on the beachfront, with a more traditional feel to it as compared to the modernistic style of Chedi. Set in the backdrop of Al Hajjar Mountains on one side and the blue ocean on the other, Al Bustan Palace Hotel costs about $400 per night and offers gorgeous views and a brilliant experience. 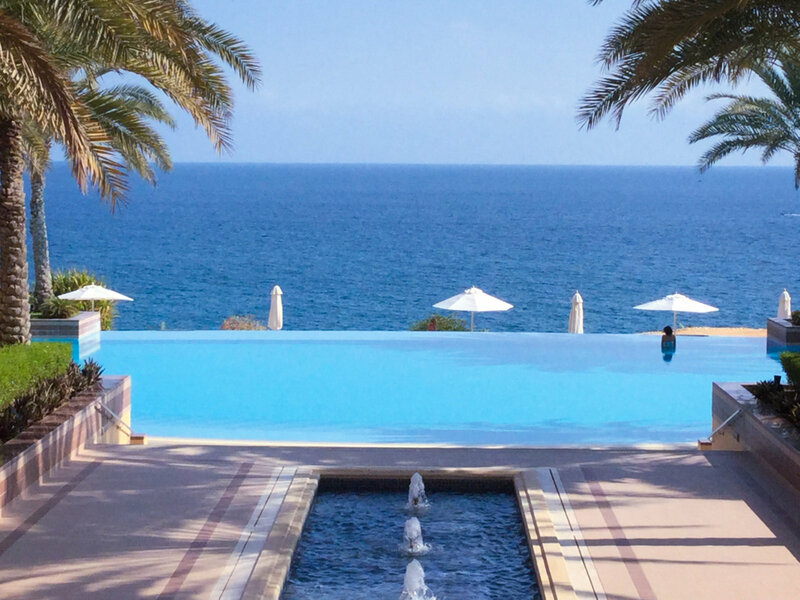 A lot less pricey than these two options above is my favourite resort, Shangri La Bar Al Jissah Resort which has two separate hotels under the brand name: Shangri La Al Waha and Shangri La Al Bandar. Al Waha is a more family-oriented hotel whereas Al Bandar is more for couples. The resort is spread out over a large area, connected with a lazy river and a massive stretch of the coastline. Staying here costs almost half as compared to the other resorts ($ 250 a night) and the facilities offered are equally good! If you're in the city for a few days, one of the things to do in Muscat is to spend a night or two in one of these amazing resorts. There are several popular diving sites around Muscat because of the water being Plankton-rich and attracting several species of fish such as rays, various shark species and the occasional whale shark, and turtles. Visibility is usually high and the marine life is diverse and plentiful, making scuba diving one of the best things to do in Muscat. The most popular diving area is the Daymaniyat Islands, where the best time to go diving in from April - October because of the high visibility and plenty of sea life including whale sharks. Most diving trips depart from Marina Al Bandar, however, it is advisable to arrange for your diving trip beforehand as the companies organise hotel pick and drops. You may even want to spend the night at the Oman Dive Centre Resort where you can stay in beach huts right by the sea. Comfortable and spacious rooms, a restaurant and a beach club are the facilities offered here apart from, of course, the diving centre. The mosque that is open to tourists look so grand. I didn’t know Muscat has so many things (sites) to offer – way higher than expectation. The Muttrah Corniche is so photogenic. 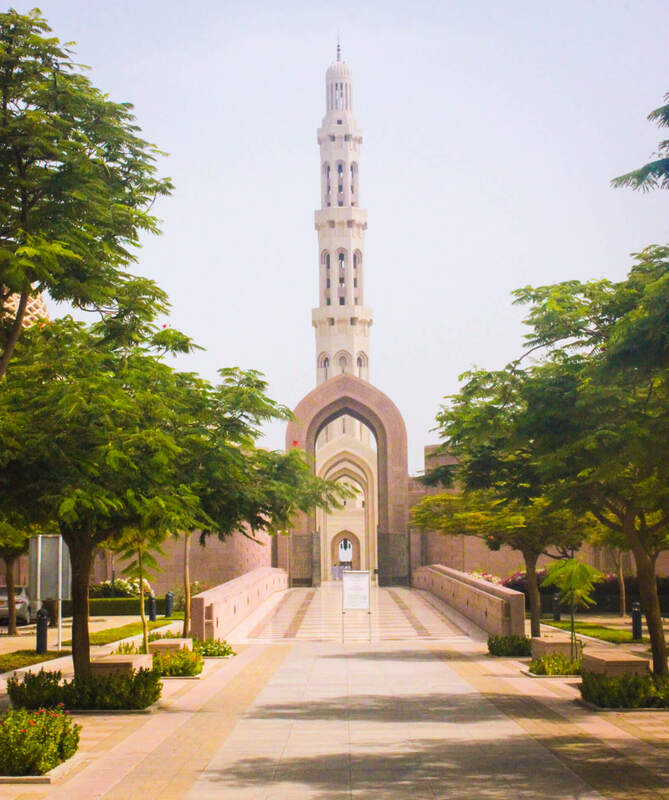 Visiting Nizwa or relaxing at a Beach resort is also a great day out in Muscat. Smitten by the pictures of the post. Muscat was never high on my list but you have given me the enough reasons to visit it. it doesn’t look as touristy as the rest of UAE. I would love staying at that beach hotel. Mosque too looks beautiful and drive to Jabal Akhdar really looks special. Muscat is in Oman, not UAE 🙂 And it’s true, Oman is not touristy like the UAE. It’s laden with rich culture, history & natural beauty. 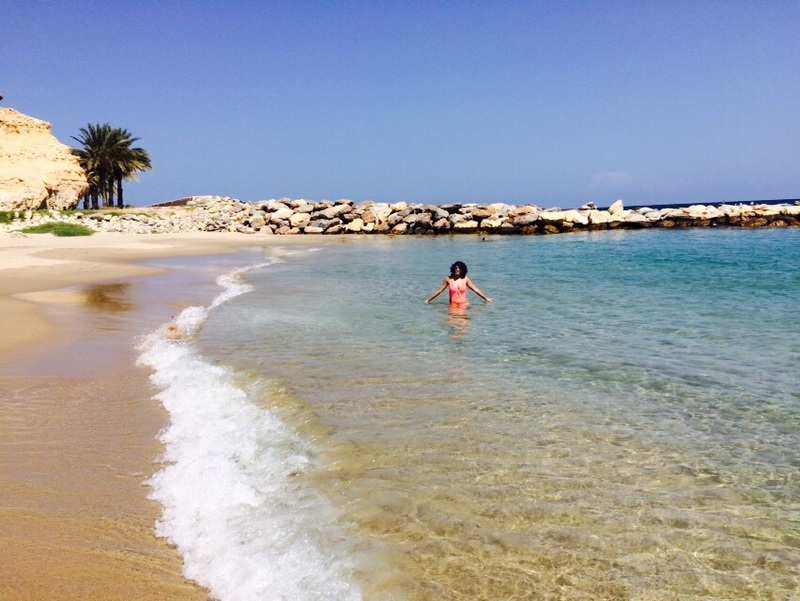 Escaping to Oman from Dubai is my favorite thing to do because of lovely blue water and serene nature all over. Staying in Shangri-La resort with a view is the most relaxing stay. 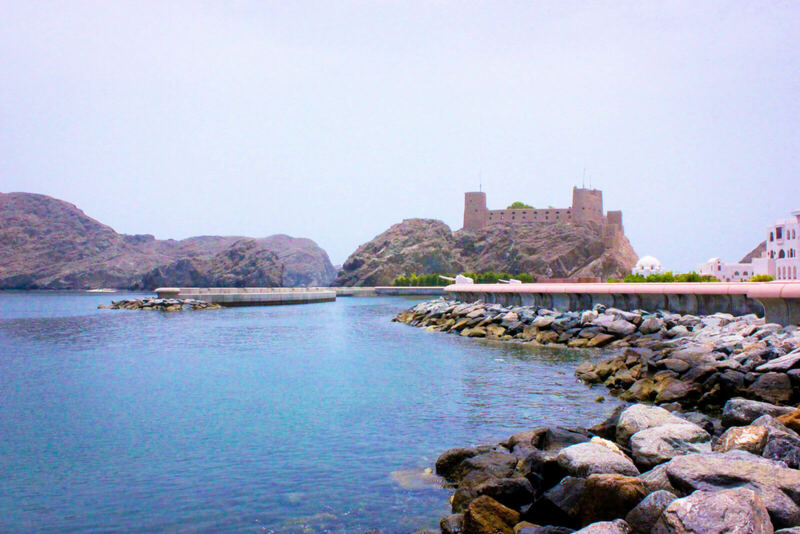 Also it is great to visit historical parts of the city like Al Jalali fort and Muscat gate. Muttrah corniche is also a beautiful part with splendid views of blue waters. I’ve only been to Abu Dhabi and Dubai in the Misdle East but Oman looks like another must do trip. I wish I could take all the activities and package them as one trip. It’s so full of history & culture but I like that you can also be at a luxury resort and swim with dolphins all in one! That’s very true- it’s a package, which so many diverse things to see and do! My parents freak out just on the mention of me planning to visit Mid Eastern country some day. It’s difficult to make them understand that I will be safe and the tourism has developed well in those parts now. What I love most in Mid East countries is their architectural marvels. Muttrah Souq market has some beautiful artifacts to buy. Haven’t seen such antiques anywhere. Dolphin watching sounds fun. Thanks for sharing this lost of best places to visit in Muscat. Each of these are so diverse and pulls me more and more towards visiting them. I’d be super excited to shop at Muttrah Souq. I’ve heard about it and it sounds like an adventure in itself. PS: I’ve got to see that chandelier at Sultan Qaboos Grand Mosque! A friend of mine who lives in Oman keeps telling me that it is a gem of a destination. After seeing your blog, I know what she is talking about. Drive up the green mountains sound exciting. I did something like that in U.A.E. I didn’t know you could scuba dive here. Sounds exciting! I also enjoy exploring souqs in Middle Eastern nations. Hope to visit Oman soon. It’s a refreshing change from the UAE, with so much nature and lovely landscapes! Oman is surprisingly quite underrated! Oman is really underappreciated as a tourist spot. There is so much to do there and I love the architecture. It doesn’t have the must show off the money atmosphere that UAE has. I agree. It’s more ‘down-to-earth’ in that sense and pretty! I didn’t know too much about Muscat, but you’ve definitely given me many reasons to visit! I’d love to stay at such a wonderful beach located hotel, the seclusion seems perfect but its great that there is so much else to do other than be on the beach, like visiting the beautiful mosque! There’s a lot to do in Oman, around Muscat and even further away, if you the time. It’s such a diverse country. I really like your guide because it is well-structured and now I have a clear view of what Muscat has to offer. Sultan Qaboos Grand Mosque looks magnificent and so do the cliffs, the beaches and the sooqs in Oman. What an amazing experience it would be to swim with the turtles or the dolphins! Muscat is a great place to start, if one is visiting Oman. It has such a lovely variety of experiences for all types of interests! I would like to try them all but what I would best is #6. Go on a dolphin watching cruise. These beautiful creatures in the water really melt my heart, and if I could jump into the water, I’d love to swim with the turtles! Moscat has exciting things and adventures! And I love Shangrila hotel chains, they definitely have exemplary service but Al Bandar as you said is ideal for couples. Regardless, these resorts are on our list now! I haven’t had a chance to visit the Middle East yet but this has definitely got me excited for a new destination! I love the feel of ancient markets, and haggling is one of my favorite things to do, though my wife is a lot better at it. The pictures of the water are stunning and I’d love to get the chance to dive with real live whale sharks! I used to know someone who lived in Muscat for a few years. She did tell me all about all the monuments and souks. But I am really fascinated by the landscapes…those gold-hued mountain pictures are stunning. This is great timing because I’m headed to Oman in April. I already know that I’ll be doing several days of diving and I’m heading in to the mountains to stay for a few days. Do you have any recommendations for authentic Omani food while in Muscat? There’s not a thing I know about Oman until now. I thought Oman was another Middle East country in a desert. This post was packed with so much information. Its seascapes and the activities a visitor can engage in sets the country apart from its neighbours. Thanks for this lovely post! Uh, wow, I did not know the Oman had so much to offer. I absolutely love destinations that offer a combination of culture and nature so I really want to go to Oman now! Indeed, Muscat has so much to offer. Recently a close friend of mine shifted there and now I plan to be there soon. I love to explore old markets like Muttrah Souq as they tell the story of old days and bring up the heritage. Stroll along Croniche would be my fav thing to do, I may end up spending whole evening there. Road trip is a must for me so drive upto Jabal Akhdar will be a good idea. Your article is bookmarked for future ref. Do remember to rent a 4WD, if you plan to drive up to Jabal Akhdar 🙂 The roads can be rough in parts. Oman seems quite picturesque and full of natural beauty. A sharp contrast to the man made wonder that’s Dubai! We were in UAE a couple of months back and now it seems we should have put in a few days to visit Oman as well! It is quite the contrast to the UAE and specially recommended for nature lovers and culture enthusiasts. What beautiful terrain and landscapes! That mosque is so striking! And, I think I could spend weeks shopping based on the looks of those stores. I’d never heard of Muscat but it sounds like a great place to visit! How cool that they have a chandelier and a hand woven carpet that are former Guinness World record holders at the Sultan Qaboos Grand Mosque, we’d definitely go visit! This is a detailed guide we have here. I dont think a trip to the UAE region is complete without visiting the souks. So many souvenirs to purchase there. The luxury of a beach resort in Shagri-La Bar Al Jissah Resort and Spa is another one thing I must do if I ever visit Muscat. And the tall buildings everywhere still fascinate me. I think you might be slightly mixed up. UAE and Oman are two different countries. They share the border, though, and are very similar culturally. There are souks both in the UAE and Oman, whereas the tall buildings are mostly in the UAE, which is a lot more modern as compared to Oman. Oh my gosh. There’s truly something for everyone in Muscat, isn’t there? I’d love to go dolphin viewing and shopping in that gorgeous Souq! my husband would be all about the beach! I’m a beach (and infinity pool) person too! There’s a lot more to do and see around Muscat, it’s taken me 4 separate trips to cover all of this. I need to go again to cover the things I’ve missed! Muscat holds out the promise of some great times. The Middle East is indeed a treasure trove of experiences spanning nature, arts, culture and much more. Muscat too has some great attractions. The mosque and the souks are of course the soul of the place. 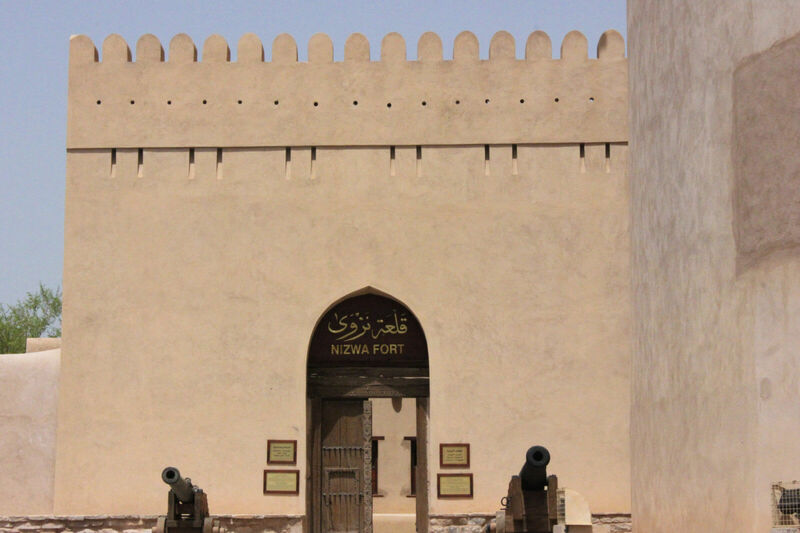 I am also fascinated by the historic town of Nizwa. Wow, Oman has so many interesting activities and places to visit for a traveler. The dolphin watching will top my list if I ever get an opportunity to explore Oman. 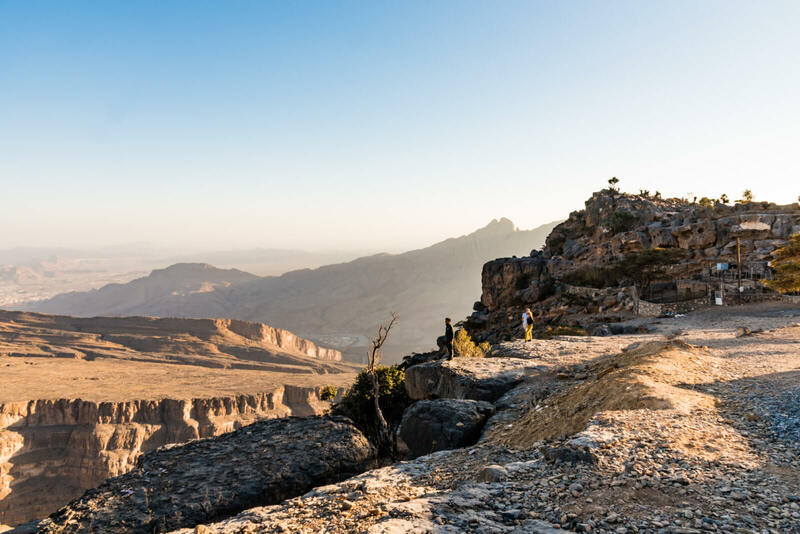 Jabal Akhdar and Jebel Shams are also great places to truly enjoy the beauty of Oman. Camping at Jebel Shams and waking up to watch the sunrise (or even the sunset for that matter) is such a lovely experience! I’ve always wanted to go to Oman. I stayed at a Chedi resort in Malaysia and as soon as I saw your rec, I knew it had to be just as fabulous. It’s the best resort in Muscat, but it’s quite expensive. Great post. I’ve been thinking about a trip to Jordan and what a perfect idea to combine it with a trip to Oman. So many things to do. The landscape is particularly appealing, as I love to spend as much time as possible outside! 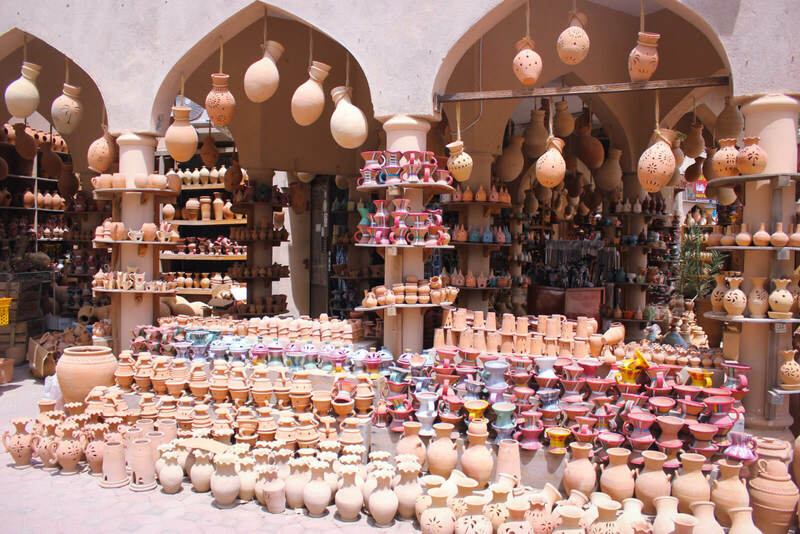 And the souks….Will bookmark your post for planning! Cheers! I hope you have at least 2 weeks in hand. Between Jordan and Oman, minimum 2 weeks are required. I’ve never been inside a mosque, it looks beautiful. I had no idea how much there was to do in Oman, I knew about the souks but it hadn’t occurred to me to go and watch dolphins, I would definitely do that! That pool and sea looks so inviting, I’d love to dive right in! Muscat gate reminded me of Kashmiri Gate in Delhi. I think it is the double gate that brings out a certain resemblance. I am yet to visit Oman, but on the first look, it looks very clean and hardly populated. The monotone colors are so much of an Arabic thing. I love the mosque too and a trip up one of the two mountains – Jebel Shams or Jebel Akhdar, is a must! I’ve had a few friends visit Oman and they all enjoyed their time there. The Sultan Qaboos Grand Mosque is stunning but I was surprised to find out about three dolphin tours and diving. Oman is a diving haven! Oman never really was on my bucket list but I think the reason for it was I haven’t seen or hear much about it! After reading this post I just learned how beautiful the county is! Thank you for it! I know my favourite part would defiantly be that sunset at Jebel Shams! It looks so stunning ! Such an interesting country ! The resort looks so great too! There are so many more places which I haven’t even covered yet. There are ‘wadis’ and forests and desert camping and what not! Oman is so diverse. Omen really is a beautiful place with so much history. Love, love your photos. And the fact you can actually visit a mosque, which would be a treat for us since we usually only see the outsides. And one must always stop for a dip in the ocean, especially when the waters are so beautiful. There are very few mosques that are open to the tourists and some of these, like the one in Oman, are gorgeous from the inside. From the architecture to the detailing, they’re done up so beautifully! Living in the UAE, Oman is like our backyard! We go all the time and it’s so weird that we still haven’t seen Muscat properly yet! We have to get back there and see the mosque and all. Gotta stay at the Shangri-La too! looks marvellous! I’ve had a couple of friends travel to Oman recently, and they said it was the most incredible country – very authentic, very beautiful – I can’t wait to travel myself. 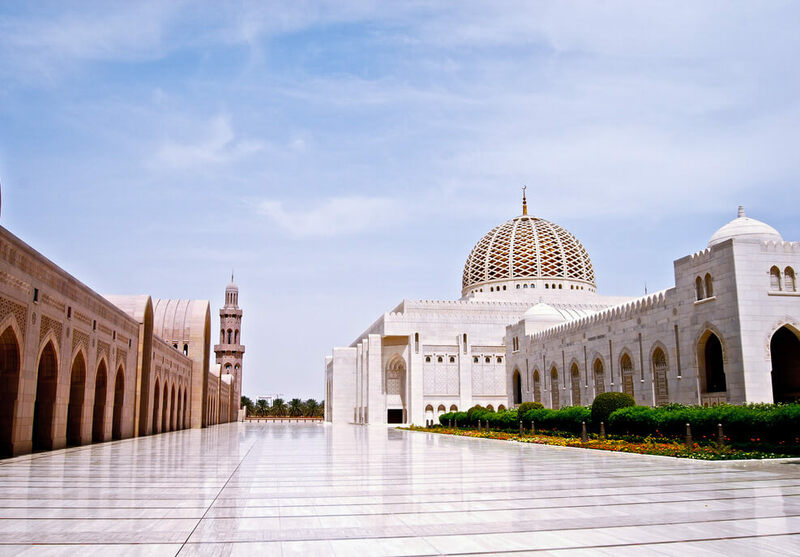 I would love to witness the Visit Sultan Qaboos Grand Mosque in person – truly an awe inspiring structure! And the shopping looks so exotic! Muttrah Corniche looks like a beautiful spot to watch the sunset for sure – and I had no idea that you could do a dolphin cruise in thie part of the world. Very cool – thanks for this introduction to Oman! I’ve never been very much interested in Dubai or Abu Dhabi since I’m not fond of this larger than life-mentality. But Oman seems to be very genuin with many nice places to see – love the architecture of the gate and the fort. The view of Jebel Shams makes me all dreamy – alf leyla wa leyla ? (what does jebel mean? I know that shams means sun…) – and the deco stuff at the souks looks super-nice. Very interesting – definitely a place to put on my bucket list. I’ve never travelled to the Oman, but this post is so informative and the photos so lovely that I feel drawn to visit. Your mention of the luxurious beaches and the visit to the mosque would be high on my to-do list. Thanks for sharing! Wow! This place is amazing. There are so many things to do and to be honest, I want to do all of these! Visit cultural and historic sites, beaches, go dolphin watching, everything. Thank you for the great list! 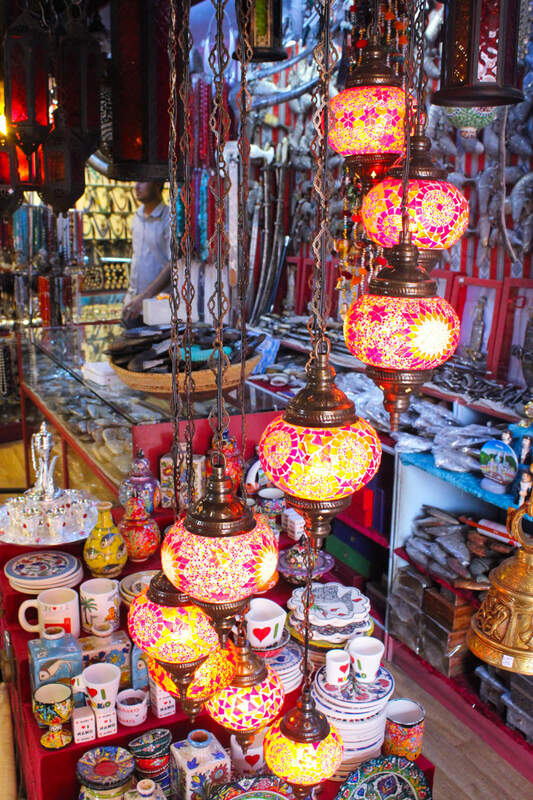 I’m not really into shopping and rarely ever by souvenirs anymore, but I’d still love to visit the Muttrah Souq. It looks like it’d be so fun to wander the alleys and take in all of the bright colors and interesting smells. It is quite an interesting place, whether you want to shop or not. I know what you mean Christopher, people usually associate the Middle East with arid landscapes such as that of the desert 🙂 That’s true for the UAE but Oman is such a striking contrast! TBH I never thought of Muscat as a serious tourist destination. There were a lot of surprising elements here. I love the souqs and the rugged terrains were expected but the dolphin cruise was the last thing I expected here! Seems I need to start thinking seriously about this country. For some reason I have the idea that getting to Oman can be really difficult for me, but it’s obviously on my bucket list. That souk looks particularly beautiful, although I was a little stuck looking at the coastline. Such a strange decoration there along the beach. Shagri-La Bar Al Jissah Resort and Spa might be a little out of my budget, but I’d really like to stay there when I visit. The mosques of UAE are so different. Big and Huge! A treat to eyes. I have experienced the souqs of Sharjah and really crave to visit these in Muscat. Wonderful to do things. Best would be to stay at a beach resort for a few days and trip to all these places. Arabic towns always interest me because of their colorful culture set against largely monochromatic desert background. It brings out the stark contrast. Each one of the activities you have listed are interesting. I also note that the Omani are quite like their Emirati kins , in that they are ok with the dress code of foreigners, something other Arabic states are quite strict about . It’s actually a lot LESS conservative in the UAE as compared to Oman 🙂 Oman is quite traditional and you’ll find lesser people flaunting bare legs and arms in Oman than you would in the UAE. Mutthrah souq, seems photographers will find infinite subjects to shoot. We might end up spending a whole half day at this market. what vibrant stuff… wow! Jebel shams seems to be a nice place. Any specific reason you mentioned about the 4WD? 4WD because of the roads not being proper; there’s a lot of sand and uneven surfaces on the way. After a stroll along the Corniche, I would head straight to the Muttrah Souq. I always think that there is something exotic about a souk. From your description, I would love to explore the narrow alleys looking for trinkets and treasure to take back home. This is a clear case of so near and yet far. I lived a lifetime in Abu Dhabi but never did visit Muscat. With this post of yours, I realize how much I have missed. The historical area with its fort and buildings seem the most interesting to me. I believe you can even scuba in Oman and given that, I need to look up this destination soon. 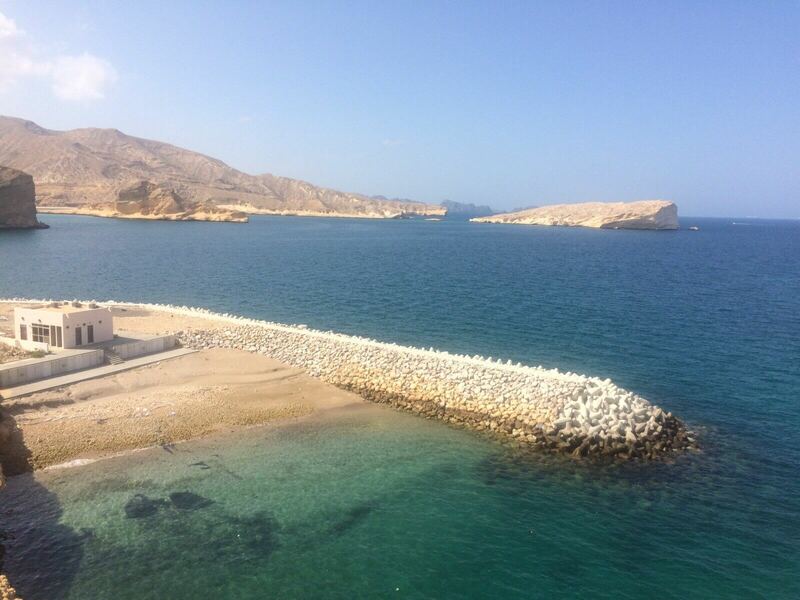 Yes, Oman has some lovely dive sites and great marina life! We are yet to make it to the Middle East and Muscat is one place we would love to visit. The markets and the architecture look interesting. 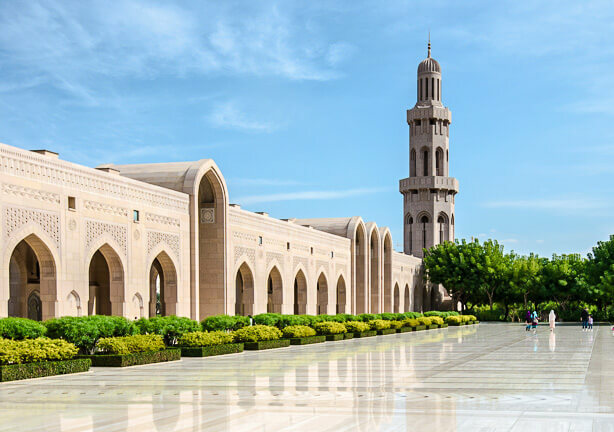 Sultan Qaboos Grand Mosque looks magnificent and for the interior features which hold Guinness World Record the mosque is definitely something we wouldn’t want to miss. This all looks so different for a European eye. Especially the markets, so many colorful things. The ‘souqs’ (chaotic, colourful markets) are a unique thing in the Middle East countries. First time I read anything about Oman. What are those concrete things that line Muttrah Corniche for? Haven’t seen anything like it. And, yes, I love the architecture of Muscat Gate. And the Sultan Qaboos Grand Mosque compares with the Blue Mosque of Istanbul! Thanks. My guess is, it is to make sure that if the waves are strong and high, they don’t splash the road right next to it. Basically, to keep the water at a distance from commercial and residential properties.I’ve seen it in several places, in Bombay’s Marina Drive and even in Dubai’s Palm Islands. Thank you. Very interesting! Oman is such an interesting place! This reminds me of my own trip to Muscat, it is so beautiful! Many people go for a weekend trip from UAE these days when their visitor visa expires. I wish I were closer so I could go again and see the forts and museums you mentioned. I’ve never really considered Oman as a travel destination, however after reading your post I can see why it is. Diving, dolphin cruses, historical centers, the list goes on. I will have to add this to my ever growing travel list. With my relatives currently posted in Oman, I have been meaning to go to Muscat for such a long time, but it never worked out. The beauty of Oman is something, I have admired initially, through my relatives eyes, and now through your eyes. Hoping that a trip happens sooner than expected. Would love to do scuba diving over there, apart from exploring the beautiful countryside onboard a land cruiser. The only thing you need to keep in mind is that the country is quite conservative. Apart from that, it’s all about beauty, nature, culture & a rich history. You’ll have fun! Wow! What a beautiful place! I have recently been reading a lot about Oman and now I can’t wait to go! I can’t begin to describe how much I want to shop in a middle east country! All the colours and shapes and textures… I just want to go to a market and go crazy! Thanks for all the suggestions! A visit to the souq is a must when in Oman, or anywhere in the Middle East. The souqs are so much fun because there are a lot of cultural items to find. The architecture is also superb in Muscat! The more I read about Muscat Oman the more I want to definitely add this to my bucket list project. The Sultan Qaboos Grand Mosque looks amazing with all of its white marble. I would love to explore the Shangri La resort too and go swimming in that beautiful water. I think Darcee would love to walk around the Old Quarter too. There’s a lot f culture and natural beauty in Oman, I’m sure you both would love it! I think the mosque would be at the top of my list- and of course relaxing at a luxurious beach resort like you got to 😉 Can never go wrong with that! For a mere 250 a night you can stay at a chic beach hotel… I bet it was worth every penny for secluded beaches and fabulous sunsets. The diving looks amazing too. Muscat seems like a really neat place to visit, especially during to cooler months when you can enjoy all of the beauty without oppressive heat. Oh yeah, there’s so much to offer in terms of cultural experiences as well as to nature lovers. Muscat looks totally amazing and Oman is high up on my list. I would love to check out that temple. I love your photos on here also and cant wait to get out there soon. That’s great Fiona, I am sure fishing would’ve been an amazing experience too! You had me at luxurious beach resort, ha! Oman is really high on my list of places I’d like to visit, so this was a great read for me. I never realised there are so many old forts and buildings here; the architecture is incredible. Funny how those green mountains aren’t green at all, definitely a bit misleading!